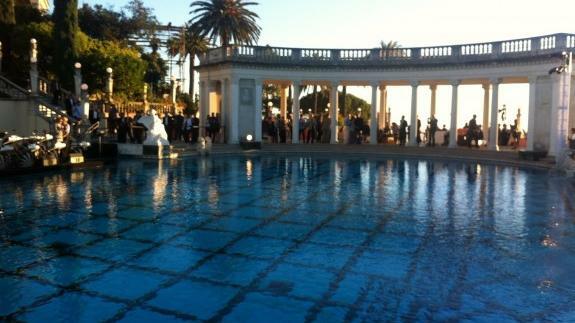 About 1,000 people gathered around the Neptune Pool and the grounds of California’s iconic castle for the kick-off party for our annual Sunset Savor the Central Coast four-day wine and food festival. The exhale moment at the end of the immensely satisfying (and equally draining) weekend—the view down Pismo Beach from my hotel balcony … and a glass of Beckmen dry rosé from the Sant Ynez Valley. I highly recommend it!